As mentioned before, the major new feature for OggSync 4.0 is contact sync. OggSync supports all of the Google Contact fields and will sync as many fields as it can to the mobile or office environment. 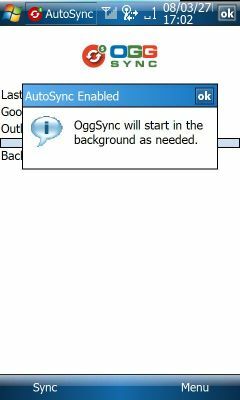 OggSync preserves all data on both Google and Outlook sides. 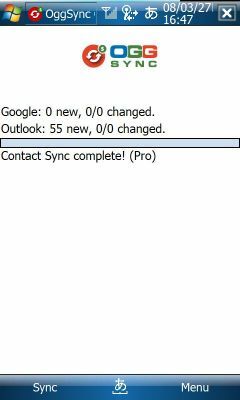 This means that if you have 20 email addresses for a contact in Google, OggSync will sync as many as it can to Outlook or the Device, but preserve the extra information in Google when data is synced back from Outlook. We also are pleased to announce a major change in the way we support Microsoft Outlook. 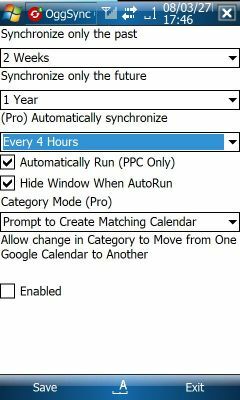 OggSync now runs as a system tray application in version 4.0 with a start at windows bootup and autosync feature so that you are always in sync.